You might remember this gentleman from a prior photo taken last year. 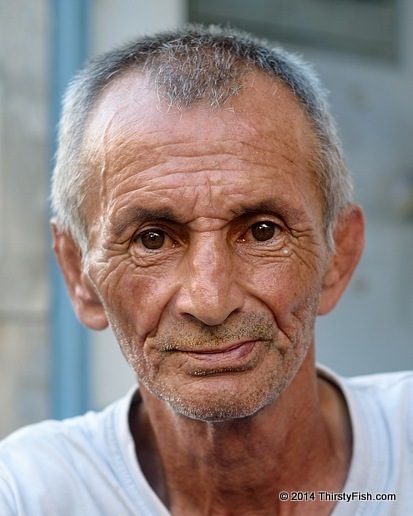 He was standing around in the same location this year, so I asked him if I could snap a quick portrait. He readily agreed. A true gentle man. It's often repeated that "scientia est potentia". Instead, maybe, "sapientia est potentia". But those who define wisdom (sapientia) as the judicious application of knowledge (scientia) have it wrong. Wisdom would be better defined as "compassion in action". In the words of Jiddu Krishnamurti: "No book can teach you about yourself, no psychologist, none of the professors or philosophers. What they can teach you is what they think you are or what they think you should be".